Leonards Mill is located at Second Valley in a sturdy stone building that was once a flour mill. The restaurant has always been worth a visit but now it is better than ever. Leonards Mill. Image from website. 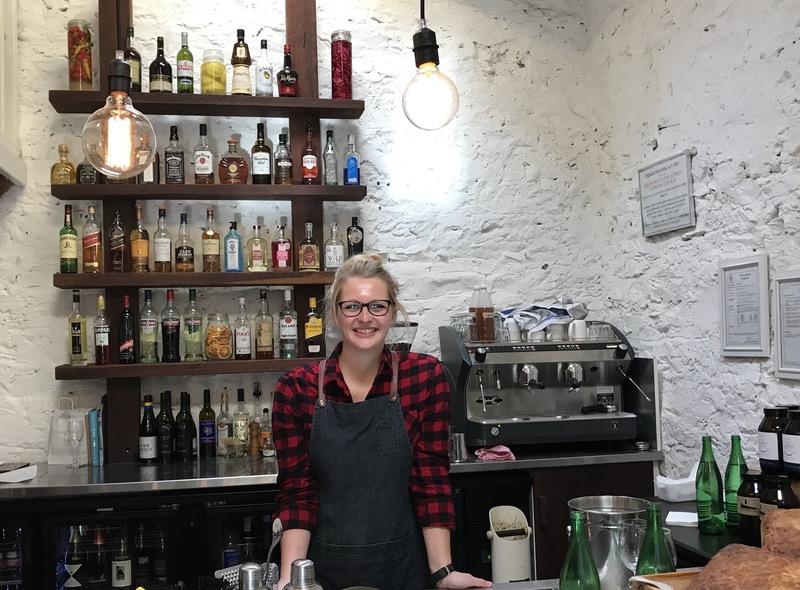 New owners, Hayley and Ian, are pursuing their food dream of creating delicious, seasonal food from the Fleurieu Peninsula while keeping waste to a bare minimum. 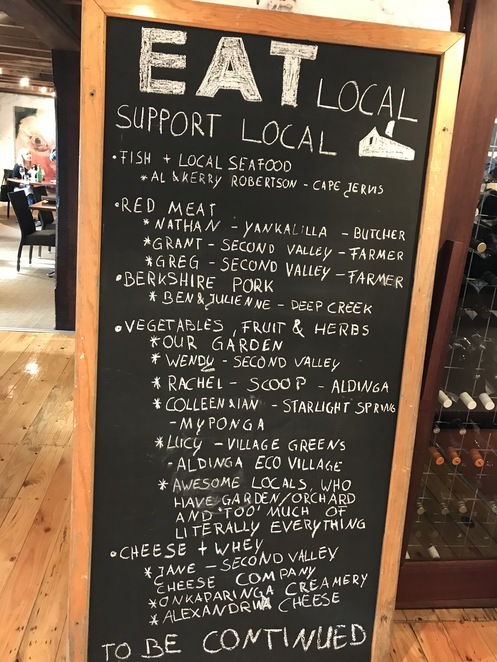 Whole animals from local, free range farms are used to provide meat and also stocks and sauces, ham, bacon, pickles and ferments. All protein foods are sourced from within a 17km radius while a productive, onsite vegetable garden provides fresh produce and herbs along with fruit from fig, lemon, lime, bay leaf, plum and mulberry trees. Menus are supplemented by produce from local Fleurieu producers and the drinks menu comprises wine and beer from local, family owned wineries and breweries from the Southern Fleurieu, McLaren Vale and Adelaide Hills Regions. Hayley and Ian work closely with Chef Peter Smitt to choose dishes designed around fresh, seasonal produce. The drive to Second Valley is both picturesque and dramatic, with rolling hills giving way to valleys and cliffs before reaching the stunning coastline. The garden surrounding the mill is beautiful and eating outside on the deck would be pleasant on a sunny day. Inside there is a bar area as well as function areas on three levels, rising around the still working but not operating mill. Mum and I chose to sit inside for our belated Mothers Day lunch. We were greeted by Nina, who is not only welcoming and friendly, but also most informative. Nina shared the restaurant philosophy with us before guiding us in our choice of dishes. Nina, hostess extraordinaire at Leonards Mill. 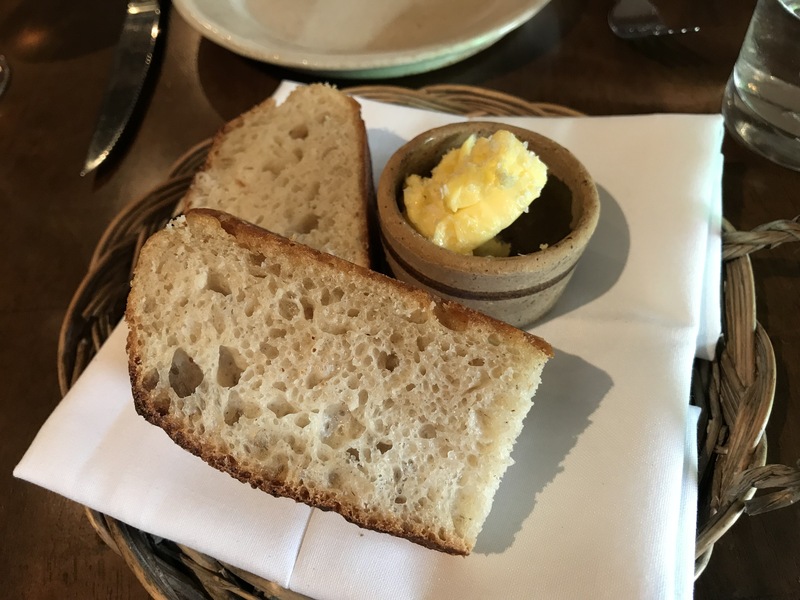 Our meal started well with crisp white wine and home made bread AND home made butter. With Nina's help we chose two large plates, one small and a side of 'Fried Potato Cake with Burnt Leek'. The potato had been julienned into paper-thin strips, pressed overnight then fried, resulting in light, crispy, layered 'cakes'. Mum is a mushroom aficionado and so am I. I guess I inherited the mushroom gene. 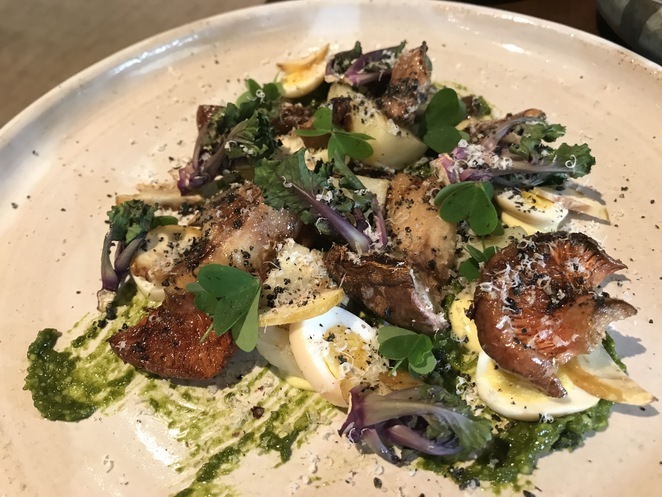 As a consequence we both said 'yes' immediately when Nina mentioned a dish featuring locally foraged mushrooms with quail eggs. The presentation of the dish was colourful and appealing without zig-zaggy sauce or smears of jus; a refreshing change to current presentation styles. Needless to say the tastes were exquisite. 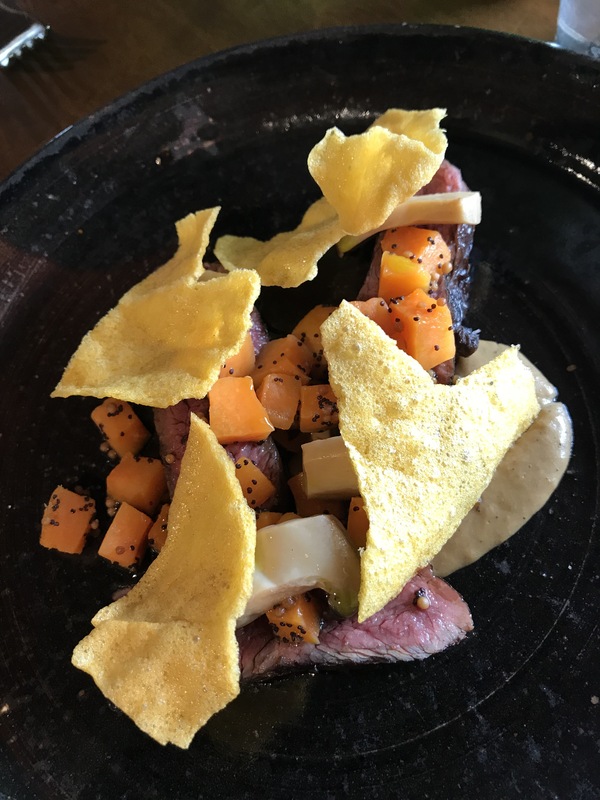 The fortuitous offer of a whole deer from a local farmer provided us with the opportunity to enjoy venison along with our foraged mushroom dish. Strips of venison were served medium-rare with sweet potato crisps and a leek soubise. Our small plate choice was cuttlefish with cured jowl, turnip and parsley. It was quite impossible to choose a favourite dish but if pressed this one would be my pick. 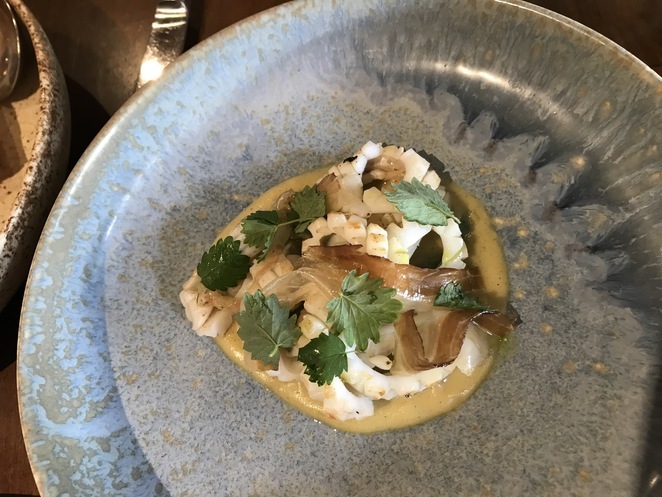 The cuttlefish was so tender and the accompanying flavours piquant. 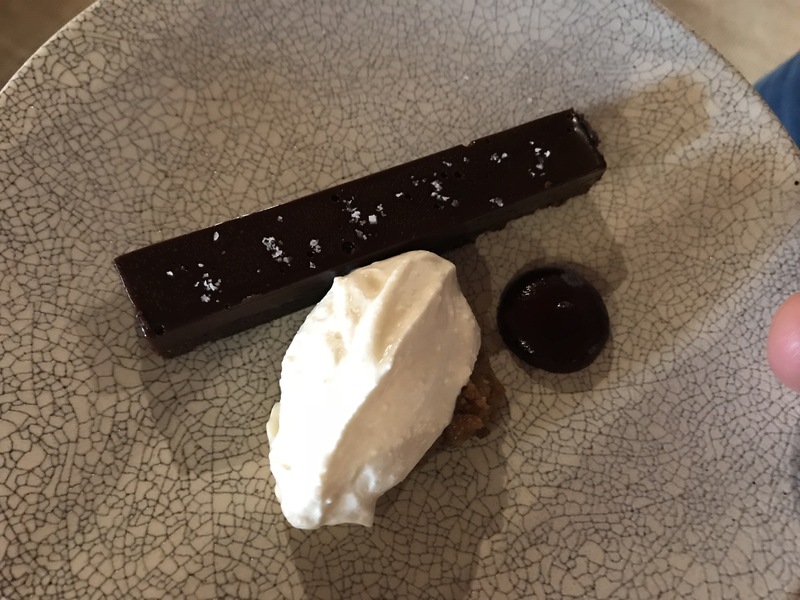 Hayley knew she had me hooked when she presented a chocolate torte infused with rosemary (from her mother's garden) and served with goats curd cream. 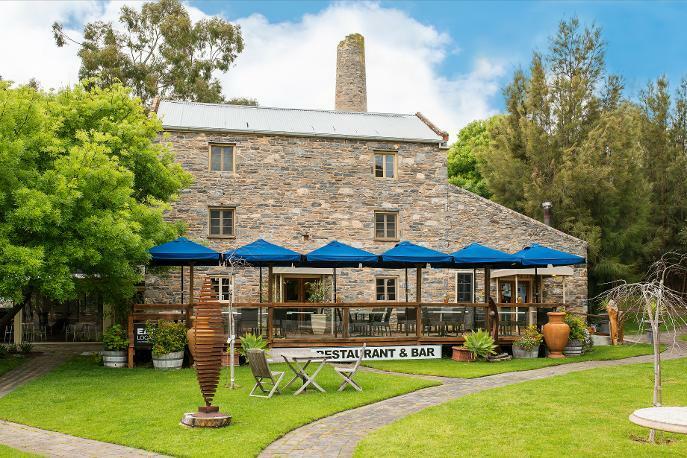 There is no way I can not return to Leonards Mill restaurant. 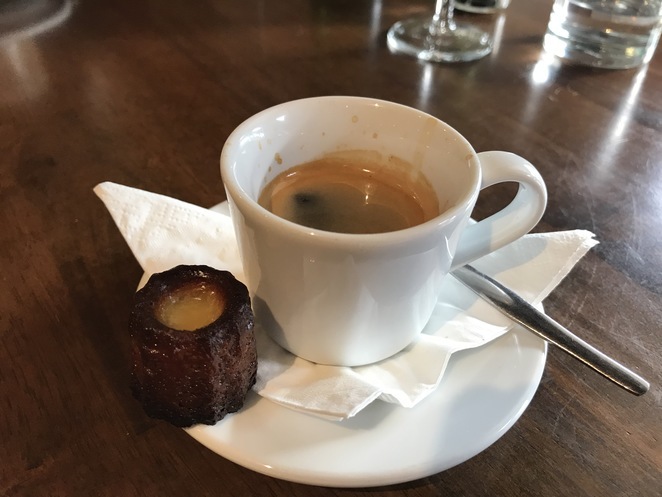 Our coffees were robust and flavoursome and served with a whiskey and white chocolate canele. The team at Leonards Mill display a mutual aura of pride, passion and enthusiasm in what they are doing and it's quite infectious. The restaurant will close for winter hibernation during the month of August but I'm determined to sneak in another visit before then. Cost: Small plates $15-$20. Large plates $29-$39. The venue looks lovely and the food sounds wonderful too.